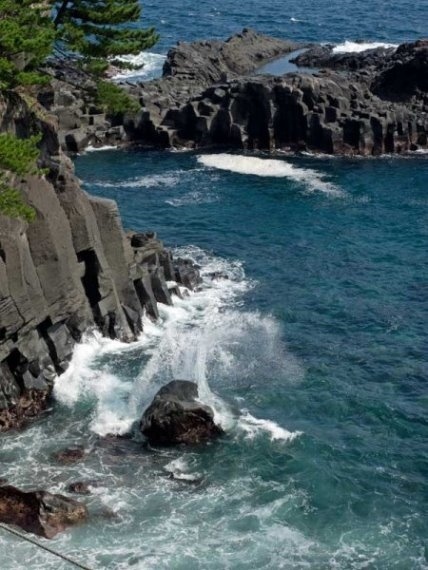 Fine and varied walking abounds on this remarkable volcanic peninsula, featuring volcanoes and hot springs, a crazed coastline of inlets and huge cliffs, sporting columnar formations and sea caves; and a rough interior of gorges and volcanoes to match. 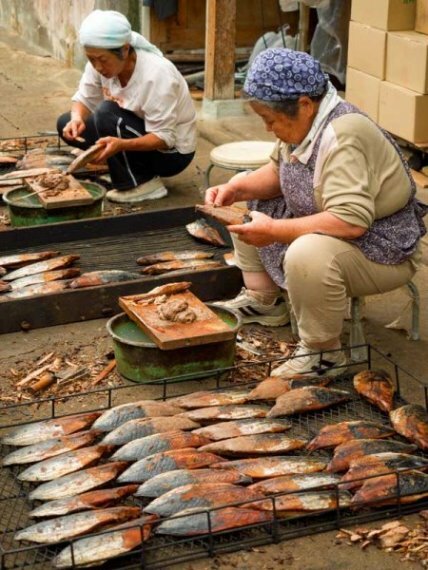 A remote place despite its proximity to Tokyo, with timeless little fishing villages nestling in the inlets. 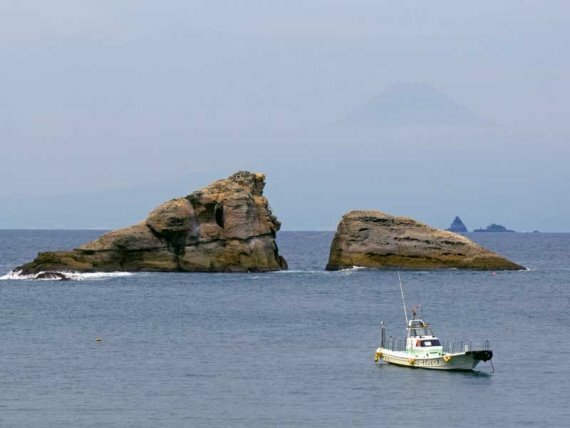 Even by Japanese standards, the Izu Peninsula is a remarkable place, formed very recently (a mere 20 million years ago) by underwater vulcanism, then thrust upward by the collision of plates. It is still very active today, with plenty of volcanoes and hot springs. 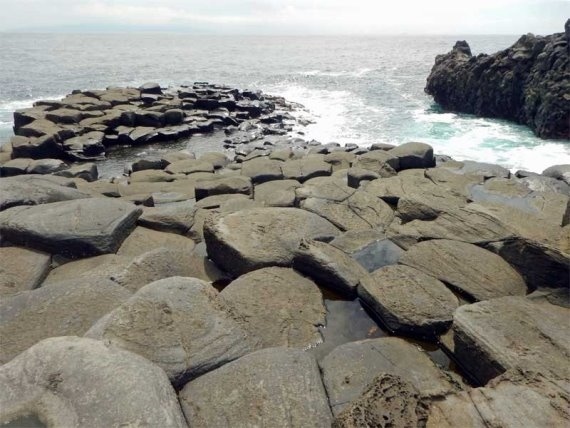 Izu has a crazed coastline of inlets and huge cliffs, sporting Giant's Causeway-style columnar formations and sea caves, and a rough interior of gorges and volcanoes to match. 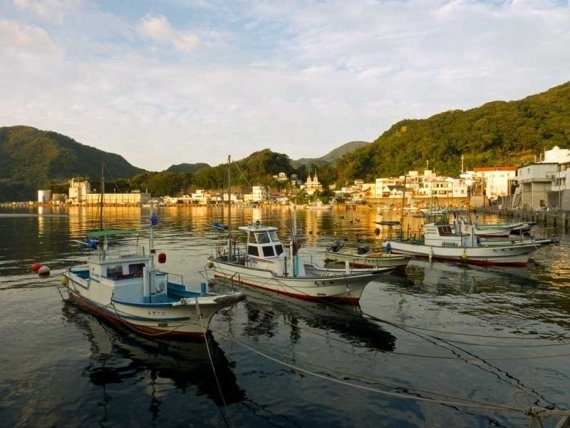 It is as a result a remote place despite its proximity to Tokyo, with timeless little fishing villages nestling in the inlets. 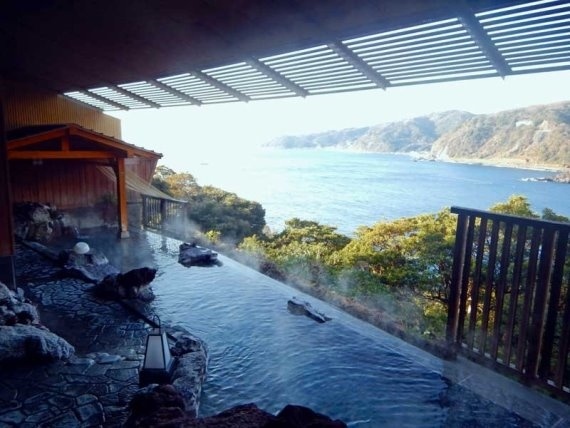 Its climate feels reminiscent of the sub-tropical islands far to the south-west rather than part of the Japanese mainland. Fine and varied walking abounds. 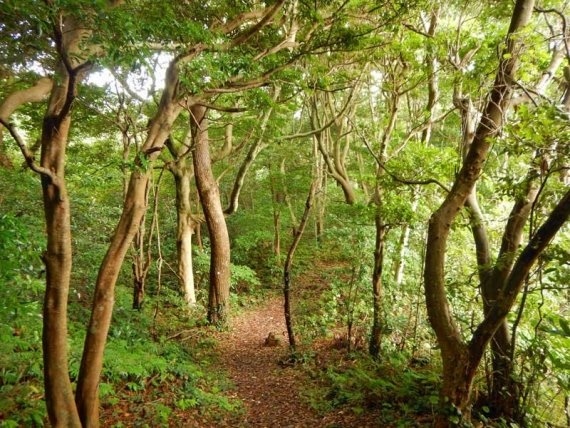 There are plenty of coastal walks to be enjoyed, a fine example being the coastline south of Izu Kogen to Renchaku-ji temple (on the east coast -added benefit: easy train access). Broken cliffs, inlets and points with long views, surmounted by blustered little pines. A lovely 3 hrs or so one way. 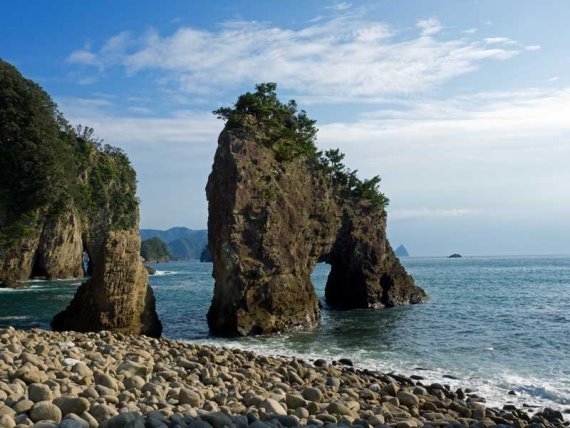 Another superb stretch of dramatically broken coastline around Dogashima on the west coast begs to be walked. 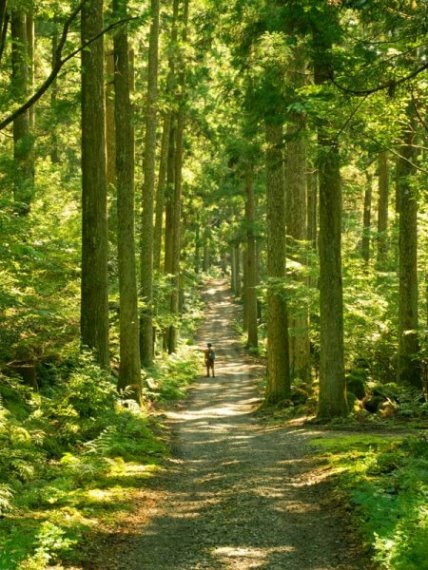 The Amagi Highlands in the middle of the peninsula has a fine crossing, partly on a historic highway, passing through natural beechewoods and by the gorgeous Hakko Iku pond. 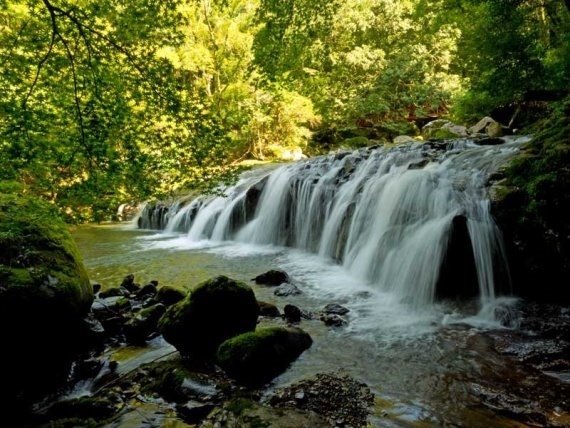 The Kawazu Nanadaru is a series of waterfalls in a fine gorge near... eR... Kawazu. 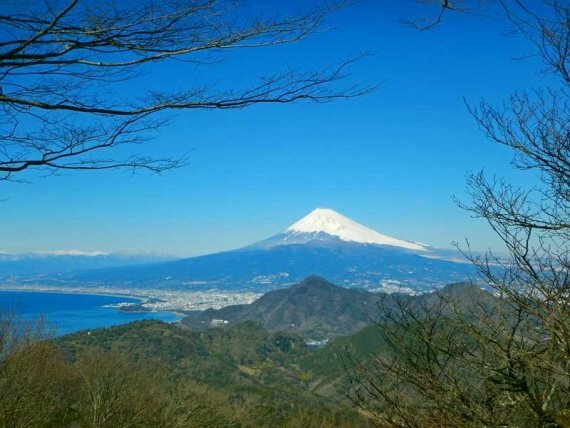 Mount Takatori in the far south is not huge (519m), but has superb views, including northwards over huge] Suruga Bay to the serene magnificence of Mount Fuji . Mount Damaru inland from the north-west coast is a 928m former volcano, with superb Fuji views. 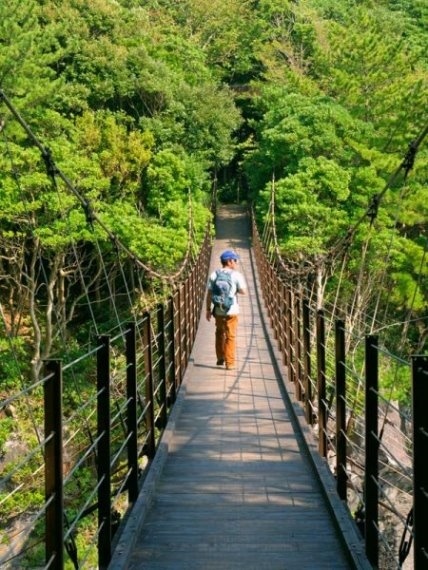 Our friends Walk Japan have recently started a fascinating-sounding (and not over-demanding) 7 day Izu Geo Trail expedition. 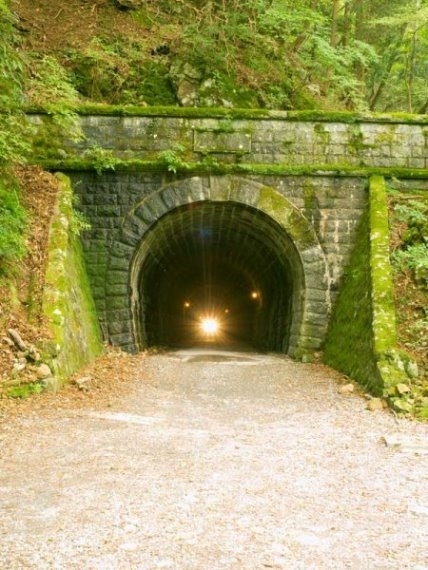 A wonderful selection of walks and places to stay and eat, with your luggage carried for you! ANYONE GOT ANY GOOD PHOTOS? WE WOULD BE DELIGHTED TO POST THEM! And any suggestions are also very welcome!